Great Wire! HomeDepot and Lowes don't sell real Cat6 the wire you buy there doesn't have the divider in the wire. Hard to find good cable these days with CCA flooding the market. This comes out of the box well doesn't kink when pulling and works great. 4.400Wish I would have gotten more at time of purchase. Bought this for a new construction house and what a dream it was to have this. I thought 1000 feet would be enough for a 2750 sqft home 32 ports and I was wrong. The quality of this cable is amazing the clear center insert made pulling the cable a dream. It didn't kink or bend enough to break the wires as I was pulling from multiple stories. I had to buy another 1000 feet of a local retailers product and this was far superior to what I bought while being $35 cheaper. If you think you might need more than 1000 feet get more of this cable from or else you will be disappointed if you have to quickly pick up alternates. 5.000Good value - reliable wiring. This was more than enough to wire my house and most of my friends house. No surprises here. It is 1000 ft of Cat 6 in a box. The feed is smooth and the wire is reliable. Can't argue with it. I am working on a whole house rewire and the client wanted Cat6 ran all over. I purchased several of these in different colors for easy identification. I had to cut into ceilings and drill small holes from the 2nd floor to the basement. I pull on this from the basement and it easily comes down doesn't rip the jacket. Haven't tried it for it's actual use yet but seems solid every other way. Best cat6 cable I have used so far. Easy to terminate compared to others. I don't know much about this cable but it's a good price and well packaged. I bought this to smart wire the house I'm remodeling and this will be ahead of anything I will need for sometime. excellent cable. speeds are what they advertise and glad I chose to network my house with cat6 instead of cat5e. makes streaming videos over our network a breeze. good quality and fast shipping I am very pleased with my choice of cables. I wish I would have purchased 4 500 feet of different colors. rather and 2000 feet of the same color. One of the great quality ethernet cables out there. UL certified and 100% Cooper which is much more faster and powerful than average cooper clad aluminum CCA. I tried another box store brand of CAT6. Somehow it didn't feel like theirs was a CAT6. 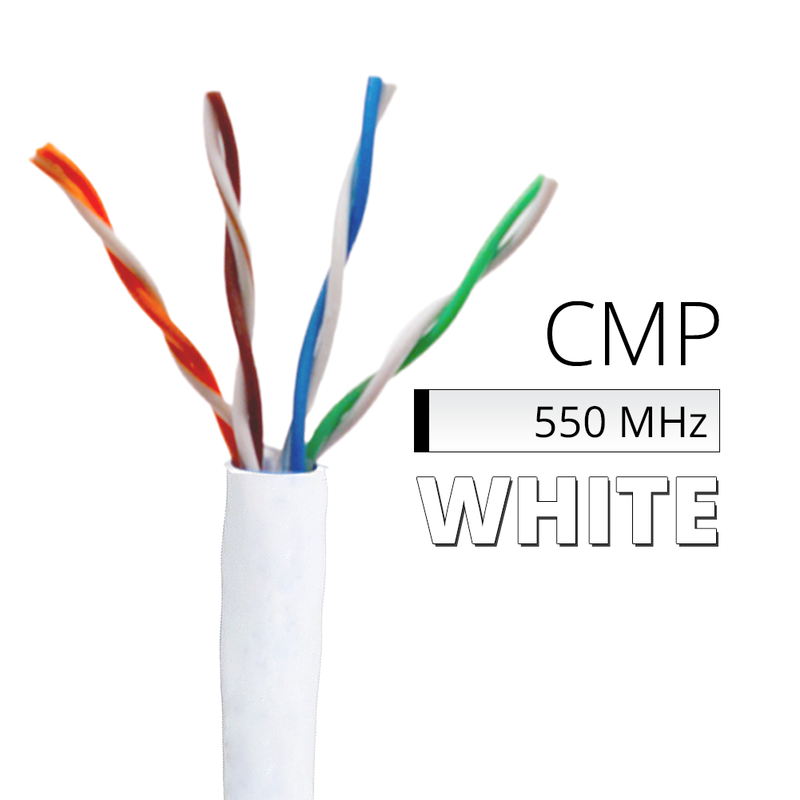 Turns out that it is really an inexpensive CAT6 additional wire twist but no shielding. That brought me to doing a bit more research on CAT6 cable and what it should be like. Having now purchased the CAT6 I am impressed that this is a much more/better quality CAT6 for the price. Seems that one has to be willing to pay for the better quality than the inexpensive box store brands. 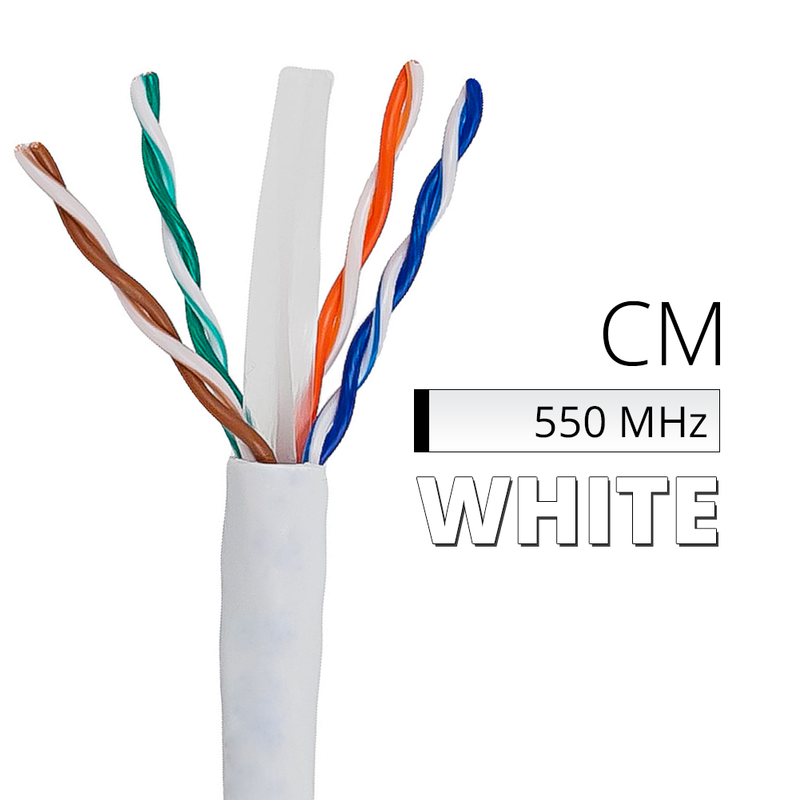 This CAT6 bulk box is a great product. Very happy with it and not having to pay very high prices for some other CAT6 brands. The cable is easy to run and terminate. The cable does come with foot markings so that you can count feet remaining in the box. The cable feeds from the box easily without any problems There are so many different brands and qualities out there that it can become very confusing. Don't bother i have already done the the homework just start with this one. The cable is a little more thicker than cheaper brands. Has the central plastic divider to separate the 4pr wires keeping crosstalk to a minimum. Overall excellent cable... I wired my entire 2 level home some locations having 3 or 4 duplicate runs overall about 3600ftsq total. I have 30 feet left over out of the 1000' box Would definitely buy this again! This is a great quality cable. Beware that CAT6 is much thicker than CAT5E. I have ran a lot of CAT5E in the past and just recently moved to CAT6. Its true gigabit cable and surprisingly dropped my pings on the network. I would say that it has exceeded my expectations. Cable is a good quality cable and was delivered promptly. I like being able to select from several colors to easily differentiate between various cable runs. I would recommend this cable for an advanced home network. This product was installed by my contractor. He shared that the cable was of good quality and as easy as any cable he has worked with previously. This product was a good value. The product itself was great I'd rate it five stars. Shipping was very fast. Perfect product great for in-wall applications and great seller. The cable inside the box was fine and it arrived in a timely manner. I recently began converting to a gigabit network by replacing switches. Upon doing so I noticed some of the Cat5 cable I had used throughout my home was not carrying data at gigabit speeds. As it turns out even though the old cable was labeled 5e it simply wasn't up to the task. I ordered this cat 6 cable and began painstakingly replacing the troublesome cables. I was very impressed with the quality of this cable. I'm about half way through with replacing the cables I need to and this cable has been exceptional to work with and achieves true gigabit speeds wherever it is installed. I highly recommend it.